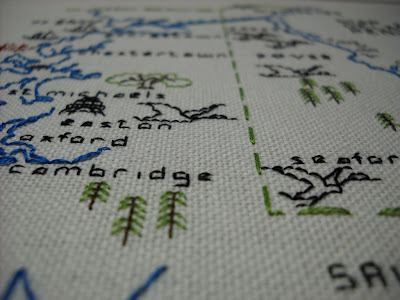 ... so here's a stitching update! Pictured above is Whiter Shades of Pale, the new book from Stuff White People Like author Christian Lander. I bet I know who's going to be in the new new book... Charlie Sheen. Come on, what white person isn't completely obsessed with CS right now? Winning! 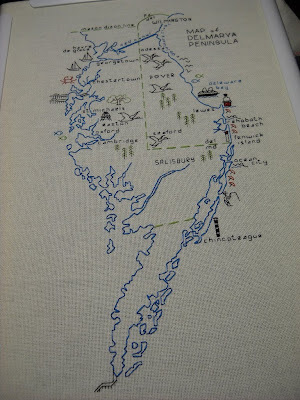 I also have a long awaited progress picture from my Delmarva Peninsula WIP. 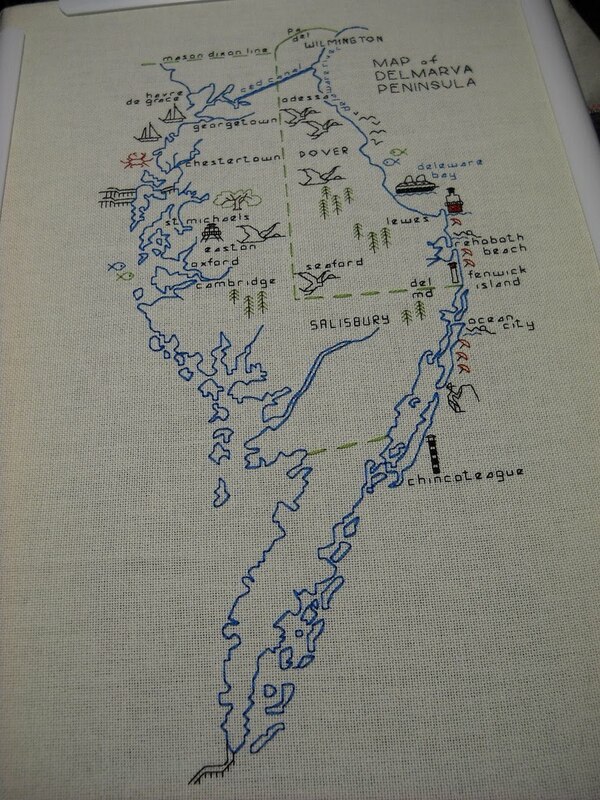 I've finished Delaware, the upper Shore, and most of the mid-Shore. 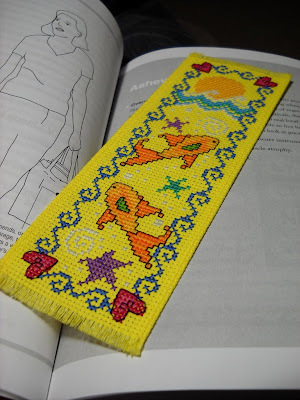 I am really loving stitching almost entirely in backstitch. Well, I hope you all had a lovely weekend and aren't too soaking wet with all of the rain we got yesterday. Take care! 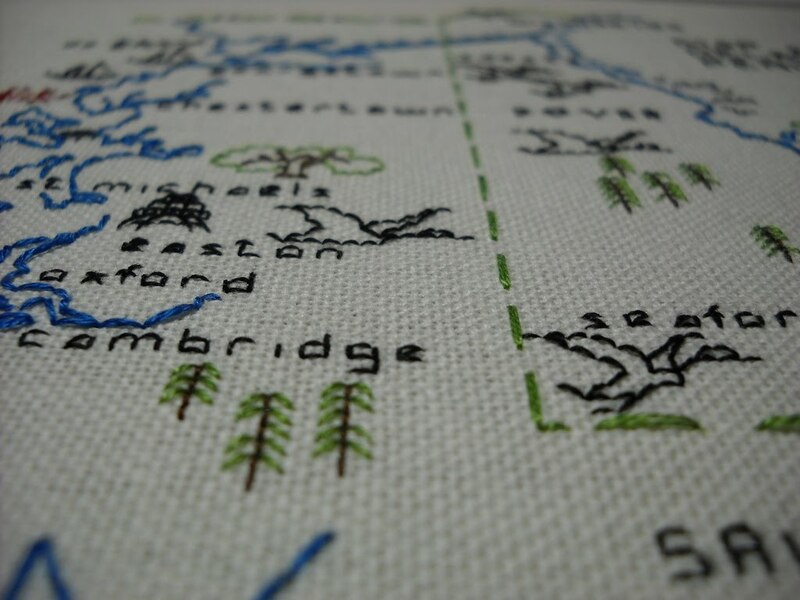 Your map is gorgeous! Send some rain to Texas, our Bluebonnets need it! 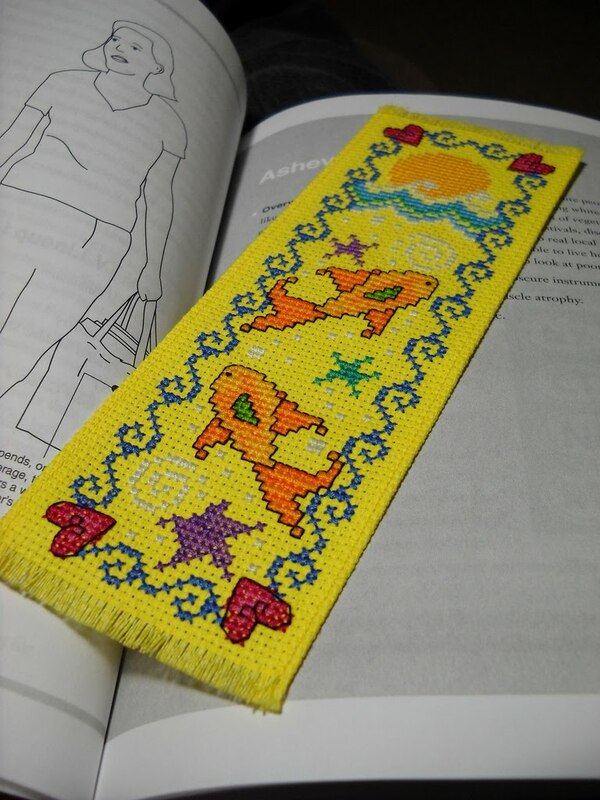 Your bookmark is cute - certainly won't lose a book while using it! Love the map, looks great!